Sydney finally confronts her mother, who reveals her true motivation. 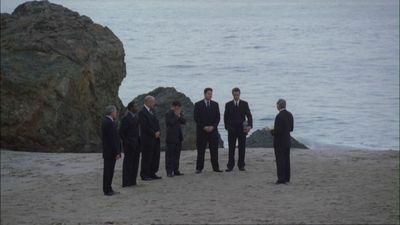 Sloane, for his part, begins to execute his new grand plan and Will struggles to figure out who's behind his set-up. In order to save Will's life, Sydney and Vaughn must destroy a familiar looking Rambaldi device, while Jack makes a risky deal with Khasinau's representative, Mr. Sark. 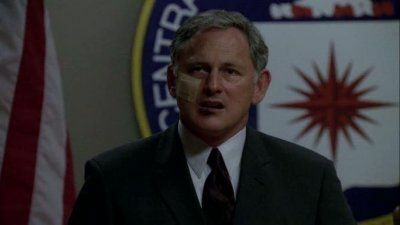 Meanwhile, the CIA believes that one of their own is a mole for "The Man"; the Alliance comes to a decision regarding the fate of Emily Sloane; Dixon's suspicions about Sydney intensify; and Sydney finds herself face-to-face with "The Man." Jack, Sydney, Irina, Vaughn and Nadia parachute into Sovogda. They're supposed to dismantle a giant red ball turning people into zombies. 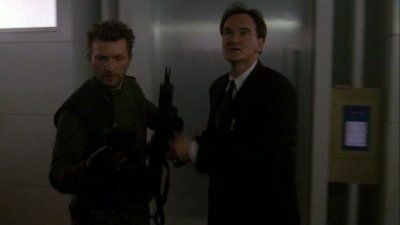 At APO, Marshall and Weiss use the Blackwell Index to blackmail the Russian minister into giving them the access codes to a Russian satellite, they discover that Elena is uplinking the satellite. 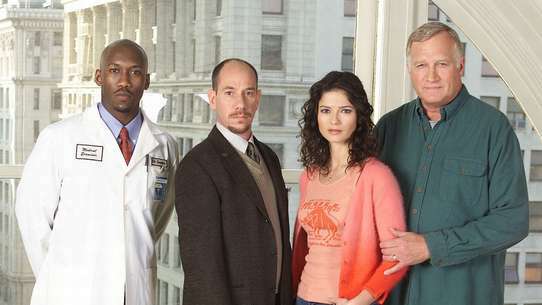 A CIA agent, Brodien reminds them that the Rambaldi device is broadcasting a subaudible frequency that physiologically alters people who drink it and it is irreversible. Elena learns of the APO team's arrival. 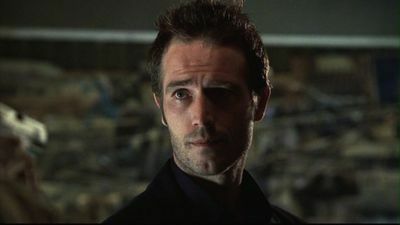 In the first part of [the] Alias two-hour finale event, 'Reprisal,' Sloane takes Marshall and Rachel hostage in order to discover a crucial clue to Rambaldi's ultimate endgame, as Sydney, Vaughn and APO race to stop him. Lauren stages a stunning betrayal to steal classified materials from the CIA. Meanwhile, Vaughn comes face to face with his darkest demons in pursuit of his wife; Nadia must decide whether or not she can trust her father, Sloane, in the pursuit of Rambaldi's most priceless artifact; and Sydney receives a shattering revelation that will make her question everything - and everyone - she thought she could trust. When a mission goes wrong, Sydney's is placed in danger and Marshall is the only one who can save her. Meanwhile, Dixon is exposed to a deadly pathogen released inside APO. 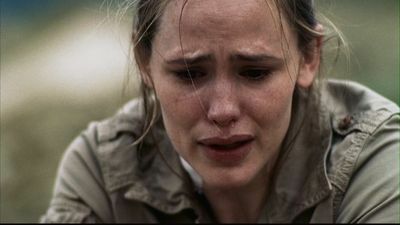 Sydney tries to piece together the last two years of her life and discovers the fates of her friends and family. She confronts Vaughn about his marriage and learns the shocking fates of Jack and Sloane. Meanwhile, she is granted temporary CIA clearance on a case that may help her regain her memory. One month after the baby is born, Sydney is taking time off from work. Will is what pulls her back in the field while she's on maternity leave. The enemies realize that the best way to hurt Sydney is through her friends. Anna Espinosa also returns. 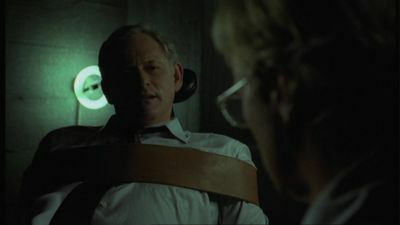 Directors: Robert M. Williams, Jr.
Jack contacts a mysterious woman with ties to Irina to help him free Sydney and Vaughn, who have been captured and face a North Korean firing squad. 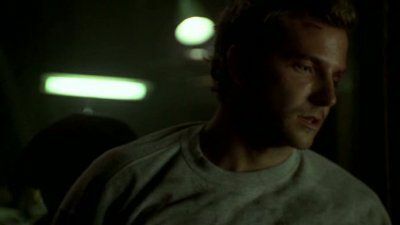 But Jack is faced with a curious conundrum when the woman tells him that she will not put the rescue plan in motion until he fulfills a favor - assassinate Sloane. Rambaldi's catastrophic endgame begins to fall into place as a giant version of the Circumference/Mueller device is found floating over city in Russia, driving the citizens made. 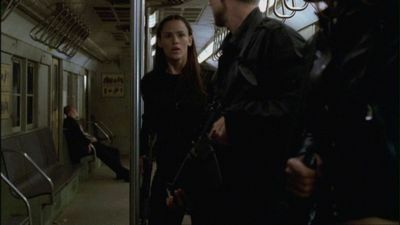 After a wounded Dixon reveals that Irina is alive, Sydney, Nadia, and Jack set off to find her. 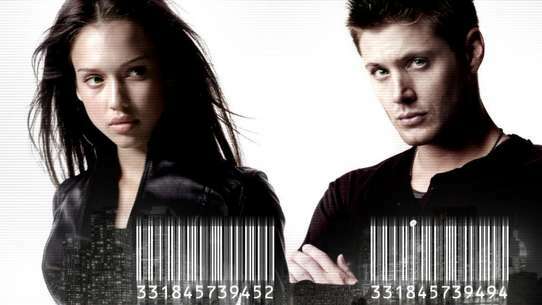 Irina had been captured, and then duplicated using Project Helix, in order to give the impression that she was dead. Sydney and Nadia discover Irina is being held inside a camp in Tikal, safely in the clutches of Elena's army. 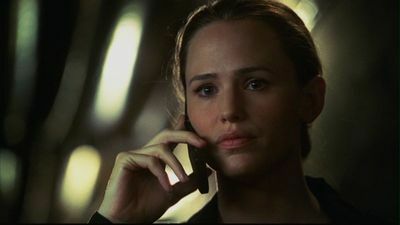 Irina had apparently been working to counter Elena's organization, the Covenant, and actually PREVENT the Rambaldi endgame. Irina tells of a page she destroyed, a page that was key to Rambaldi's endgame. Under torture, she finally broke and recreated it for Elena. After a short respite, the transport turns towards Russia, and Sydney, Vaughn, Jack, Nadia, and Irina parachute down, towards Elena, Sloane, the Circumference....and destiny. 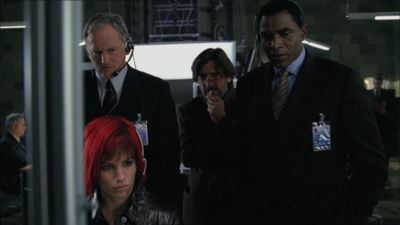 With the aid of Katya Derevko and CIA imprisoned security systems designer Toni Cummings, Sydney and Vaughn attempt to track down Sloane and Nadia. But Lauren and Sark are also in hot pursuit of them in order to uncover the secrets of Rambaldi. Meanwhile, Vaughn's obsession with tracking down Lauren is beginning to consume him, Sydney and Vaughn turn the tables on an old foe, and Katya expresses her attraction to Jack.